Motorola is expected to launch the Quench XT3 in India as soon as tomorrow. 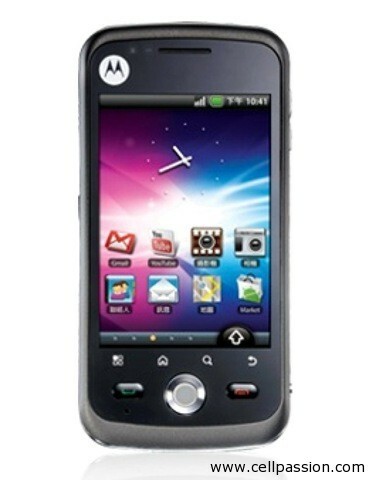 The XT3 will be Motorola’s fourth Android smartphone in India after the Milestone, Backflip and Milestone Xt720. It will run on Android 2.1 and features a 3.0 MP fixed focus camera and a 3.2-inch HVGA display. Rest of the features are hygienic Android smartphone features like Wi-Fi, 3.5 mm audio jack, A-GPS and HSDPA 7.2 Mbps connectivity. We expect to get a review unit pretty soon so watch this space for more. it will be priced at approximately Rs 14,000. Are you sure about the android version, as global reviews of the XT3 report Android 1.6 for this phone? And I think you have got the price wrong. This phone is here to compete with the Samsung Galaxy 3, and except for the fixed-focus camera, it probably trumps the Galaxy3 in all other features. Motorola need to get the pricing right. We are reporting the mrp. The street price should be lower. this phone and spice mi300 are quite similar. mi300 is less than 10k. so motorola should price the phone around 10k. This is an OEM phone. I don’t want it. It’s not Motorola’s own. This is most def the gigabyte gsmart g1305. And the custom spin on the interface is ugly. C’mon motorola, you have to try and regain your reputation, not try and lose it further. Spice Mi-300, Videocon V7500, Motorola xt3/ xt 502, Vibo A688, Boston Orange, CincinnatiBell Blaze, Apanda A60 and many more are essentially the same. they haven’t even bothered to change the looks except for the names. I have very positive experience of other Moto products, but if I’m paying for the Motorola brand name, I don’t want anything generic. This is a bunch of bull. Motorola needs to tidy up their act and launch their better products in India. I am currently in the market for a new phone, but I’m staying away from this OEM piece. I agree that there is no point in paying for this Spice Device … LG Optimus One should release soon.